Russ Nature Reserve, Beavercreek, Ohio “Many eyes go through the meadow, but few see the flowers in it.” - Ralph Waldo Emerson My favorite native wildflower. This is one of my earliest images that I still holds up to my current body of work. I captured this photo during my school time to show a contrast in colors. The soft diffused lighting helped ensure that the subject wouldn't be overexposed. 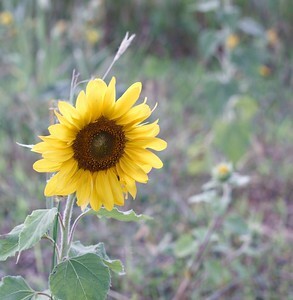 Following the rule (guideline) of thirds, the flower was placed off-center to the left to add some interest. A fairly mid range aperture ensured that the wildflower was in sharp focus and the surrounding greenery and plant life was too. The bright yellow definitely stands out against the more muted greens. Your eyes are instantly drawn to that contrast. This is still one of favorite images over the years due to the simplicity of it. All attention is focused on the subject. There are no real distractions and if there were prior to capture, I made sure to remove them from the frame. 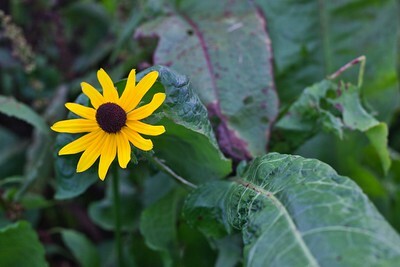 Native wildflowers are beautiful, and this image decided for me that I am a fan of Black Eyed Susan. © 2017 Ryan L. Taylor Photography. All Rights Reserved. Bill Yeck Park, Centerville, Ohio These are a common sight among Ohio native wildflower prairies. 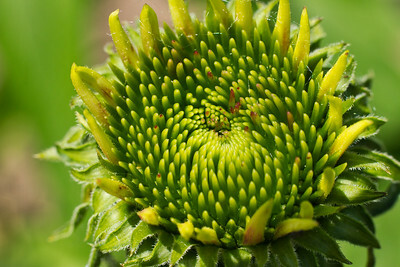 There are also several perennial varieties of coneflower including pink and purple. This was my first trip to Bill Yeck Park and honestly I was blown away with the amount of subjects and size of the area. I look forward to subsequent visits in the future. I've learned to never judge a location by the parking lot. I pulled in just before dawn to see only soccer fields. Personally developed "community parks" don't do much for me but once I found my way on the trail, I was lost (in the good way) for hours on end. This image was taken with a wide angle at 24mm to give a "sense of place" among the surrounding foliage. Off to the right is some neighboring daisies. The weather was particularly cloudy which makes for nice diffused lighting. Contrary to popular belief. Bright midday sunlight is honestly pretty terrible to photograph in. Colors become more washed out, the highlights are blown out during exposure readings and harsh reflections are present on any shiny objects. © 2018 Ryan L. Taylor Photography. All Rights Reserved. James Ranch Garden, Xenia, Ohio © 2018 Ryan L. Taylor Photography. All Rights Reserved. 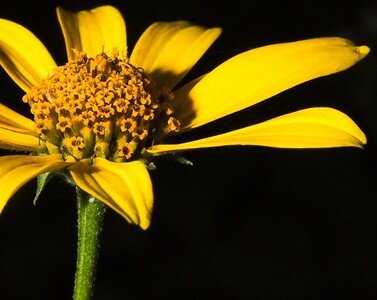 Russ Nature Reserve, Beavercreek, Ohio Also referred to as the Common Oxeye or the False Sunflower. 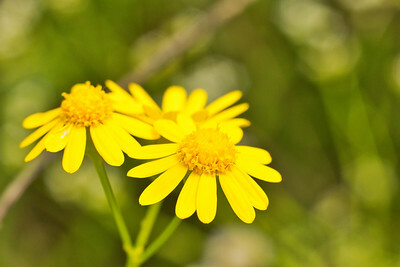 These are one of the primary native wildflowers you will see in a healthy and thriving prairie. 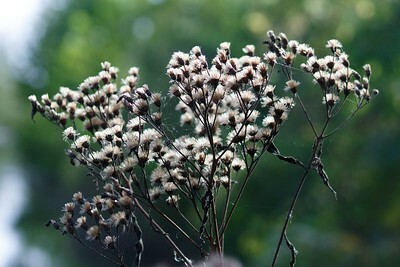 This was a late summer afternoon when I embarked on a wetlands wildflower photo op close to home. Situated close to the boardwalk. These glistening Oxeye became a subject of interest. 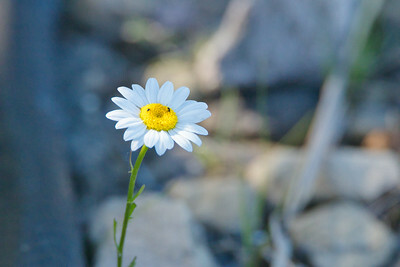 Wildflower photography for me has always been a big facet of my portfolio. 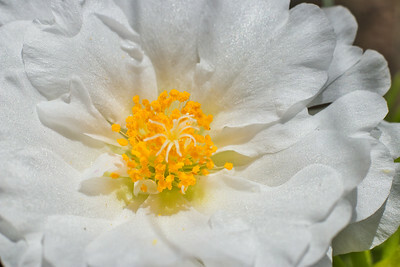 I get to learn more about horticulture and botany while capturing enlightening images of these plants. There is something special about adding the diversity and color to my art portfolio. One word of advice is to go to a local botanical garden in the spring or summer and spend the day there. James Ranch is a perfect example and is on the same road as Sibenthaler Fen. I say a botanical garden because all the plants are laid out in a small space and luckily most are labeled for you to identify with ease. 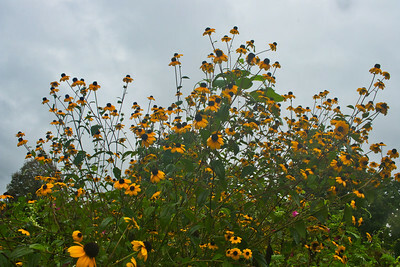 Just be sure to choose a calm day, capturing these flowers amidst the wind is difficult! 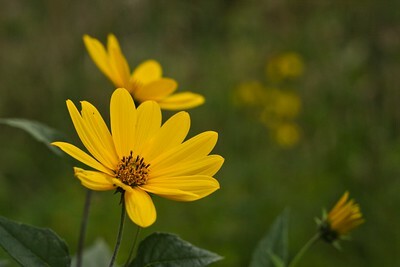 While this was taken with a focal length of 50mm, a majority of my other wildflower photos are taken in a macro style. 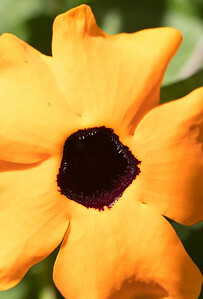 Macro is essentially a 1:1 magnification of the lens in order to get abnormally closer to subjects. 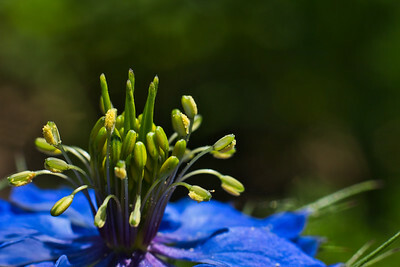 Think of insects, flowers, and really tiny details that are now allowed to fill the frame. I look forward to using my expanded knowledge in the future to plan out more photoshoots with these beauties. © 2017 Ryan L. Taylor Photography. All Rights Reserved. Koogler Wetland Prairie Reserve, Beavercreek, Ohio "Peeling flower petals - like removing the veil." I had an afternoon to myself at Koogler one day where I spent the majority of the time photographing with a flash. Many nature photographers will agree; natural lighting is the best option when available. Yet this day seemed darker and cloudier than usual, so I adapted the lighting (or I adapted myself?) to the situation. 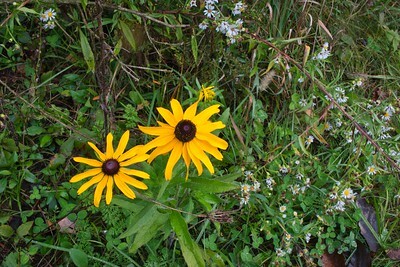 A small late-Autumn perennial, a small patch of these yellow flowers are some of the last to bloom and stay around up until the dangers of frost came. I had been using my external flash to illuminate everything: subjects like the leaves, the abstractions in sawed tree stumps, and flowers such as this. This shot is one of many taken where each one had my varying the strength of the flash light and the direction it fired from. 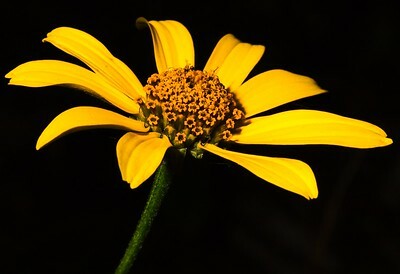 My initial goal was to black out the background completely and lessen any shadows that were cast on the flower. To me, using a external flash is fun as an experimentation tool when creativity seems to be lacking without. Artificial lighting has its' place when a photo like this could not have happened otherwise. © 2018 Ryan L. Taylor Photography. All Rights Reserved. Koogler Wetland Prairie Reserve, Beavercreek, Ohio "Unfurl the things that you hide, what would you share? Let those past discretions come alive and in bloom." © 2018 Ryan L. Taylor Photography. All Rights Reserved. Sara Lee Arnovitz Nature Preserve, Xenia, Ohio “Let us give Nature a chance; she knows her business better than we do.” - Michel de Montaigne This was a very lucky image for me. Carefully handholding my camera with an extension tube mounted on, I took an image a split second before this of the yellow daisies without the bee. Without warning, this bumble bee flew right in for a few seconds to pollinate. Perhaps one of the better macro shots I've taken, I had to withstand intense sunlight and summer heat just to make this all happen. Swatting away bugs while holding still and being patient for some kind of "photographic magic" such as this to occur. Don't get me wrong, this image turned out wonderfully. But if there's one thing I'd like to change, it would've been to have the bee facing towards the camera. When an animal or insect in this case is facing the viewer, preferably making eye contact, oftentimes the result is a connection and deeper appreciation for the subject. We are no better than these pollinators. 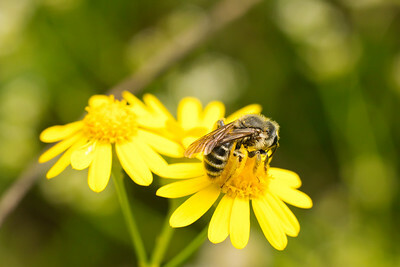 Bees carry nectar and pollen around, this spreading seeds to help plants grow. Us humans enjoy honey and other products from the bees' design. The bright midday sunlight worked on my favor here. 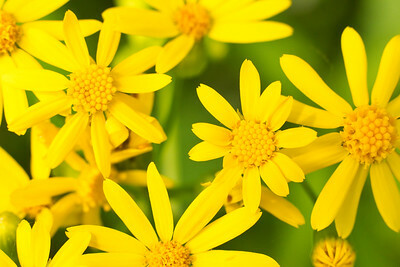 The overarching yellow color theme here catches your eye as well as the complimentary background green foliage. Macro photography is a joy to work on and with enough patience and forethought, you will be rewarded with captivating photos. © 2018 Ryan L. Taylor Photography. All Rights Reserved. Sara Lee Arnovitz Nature Preserve, Xenia, Ohio "Every flower is a soul blossoming in nature." 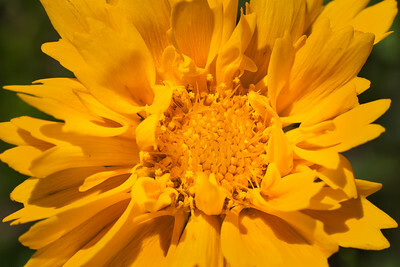 - Gerard de Nerval Armed with an extension tube and wide angle lens, I was aiming to show an expansive shot of many flowers at once. 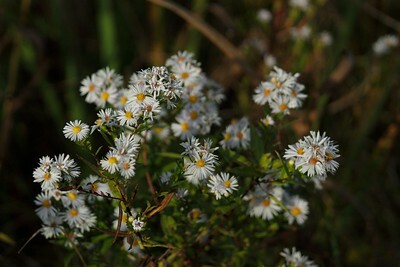 The bright sunny day worked in my favor here as it illuminated these daisies. 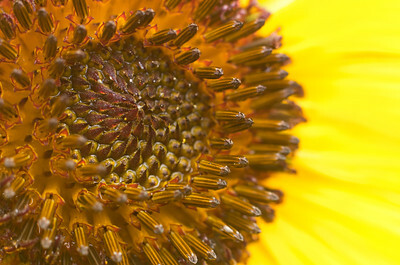 The macro technique pulls them ever closer to the frame, making them appear larger than life. While one could argue that there is no definitive subject, I am quite fond of these pattern-esque images where all details are the same and equal. The entire frame becomes the subject. Being among nature boosts creativity, insight, and problem solving. In a way, taking a photo is like solving a complex puzzle. Taking a good photo requires some forethought about the best angle and lighting to create it. There is a kind of dance you have to give in order to succeed, a snapshot is simply not enough. There's always the saying "the best camera is the one in your hands." Your unique vision is what counts here. © 2018 Ryan L. Taylor Photography. All Rights Reserved. Oakes Quarry, Fairborn, Ohio © 2018 Ryan L. Taylor Photography. All Rights Reserved. Siebenthaler Fen, Beavercreek, Ohio © 2017 Ryan L. Taylor Photography. All Rights Reserved. Siebenthaler Fen, Beavercreek, Ohio This is dried Ironweed growing in a patch of prairie grasses in a shallow water fen. This was tricky to photograph at the time due to the fast moving breeze as evident in the motion blur. Photo taken in late Autumn. © 2016 Ryan L. Taylor Photography. All Rights Reserved.